Are you looking for affordable BMW servicing in Brisbane? With K and G Automotive having a lavish taste in fantastic cars does not mean having to pay extra for mechanic services. Most people associate owning luxurious vehicles to costly maintenance and expensive parts, but that isn’t always correct. K and G Automotive servicing ensures low upkeep on high overhead car payments. Our highly trained and experienced BMW mechanics in Underwood and other nearby areas deliver first rate quality without endangering the validity of your vehicle warranty. Since BMW vehicles are considered the ultimate driving machines, they require meticulous maintenance to achieve its optimal performance. 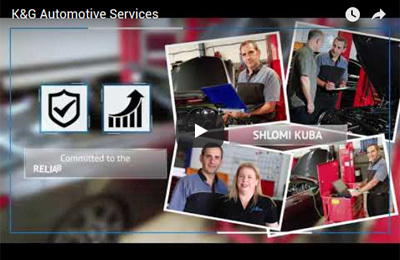 K and G Automotive is well known as the leading European service provider in the Brisbane area. We cater to many luxurious models, including Audis, Mercedes and Volkswagens, BMW vehicles are just one in a long line of foreign cars. The K and G Automotive expert BMW mechanics around Springwood and Underwood are equipped with sophisticated servicing equipment which we update regularly. Quality is never compromised during your vehicle’s optimal performance servicing and maintenance. Extended durability through comprehensive inspection together with installation of genuine or OEM BMW parts and accessories guarantee that your vehicle remains true. K and G Automotive will accept all BMW car models for servicing. Our friendly and skilled mechanics are always ready to serve you and offer the most affordable BMW repairs Brisbane wide. Whenever you need expert BMW servicing, contact K and G Automotive. We also cater for a complete range of European cars, so if you have a Mercedes that needs repair or and Audi that needs servicing in Brisbane, call the experts at K and G Automotive.